Good morning, good afternoon, good evening! Today I am going to share with you a recipe that is one of my go too for this time of year! 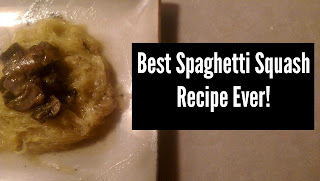 Spaghetti squash is the best, but to be completely honest I was not sure about it at first. For some reason, I had it in my head that it would not be very good. The very first time I had it was the day I moved to Louisville, Kentucky. We were driving from Virginia to Kentucky(which is a10-hourr drive) and my soon to be Step Mother had cooked us a meal since we had been on the road. When I got there she had made this big pot of spaghetti squash with pesto, kale, and sausage. I did not want to be rude and tell her I did not "like" it since it was my first meal with her. So I sat down and dished myself out a small portion. This was the moment when my life literally changed. I was blown away with how yummy it was, I had a few more servings. This was the beginning of my love affair with spaghetti squash. A few things I have learned along the way is that it is not very good with very thick sauces, like a traditional spaghetti sauce. The best way to have it is with a pesto, vinaigrette or another light sauce. For the longest time I would only have it the way she cooked it, but now I am a vegetarian so I had to find a different recipe. I quickly found that most recipes had meat in them so I came up with this one myself. Next time you see a spaghetti squash in the market, pick it up! Give it a try. I promise you will not be disappointed! When roasting your spaghetti squash, most people recommend cutting it in half, using a spoon to get rid of the seeds and roasting it face down in the over. I have a different method that I consider to be much better. I slice the squash so I end up with half inch disks and taking the seeds out of the middle. I prefer this way because the squash comes out with more spaghetti-like consistency and it roasts in about half the time. Most people roast their squash for an hour, if you cut it my way, you can roast it in about 30 minutes! 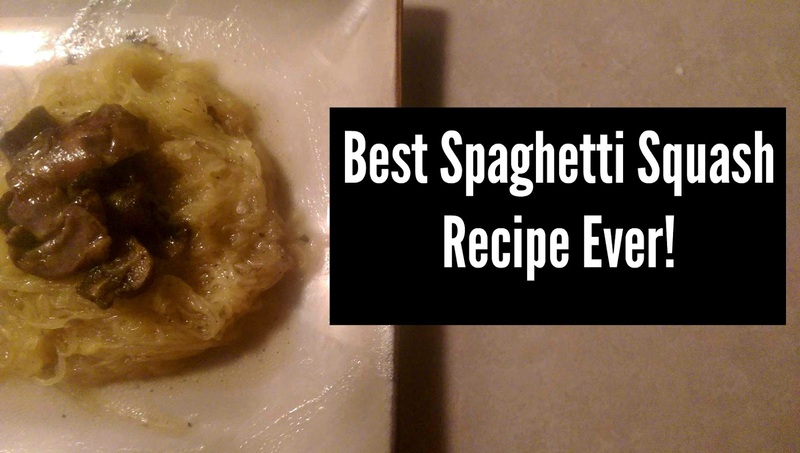 What are your favorite spaghetti squash recipes? Let me know in the comments below!